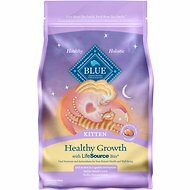 All-natural kitten food is made with organic free-range chicken as the first ingredient for animal-sourced protein to support healthy muscles. 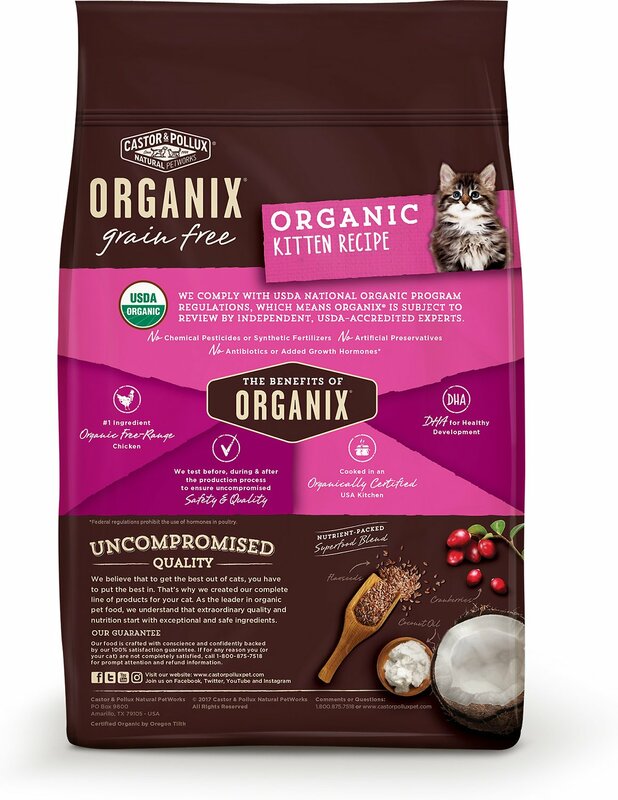 Packed with organic flaxseed, organic coconut oil, and organic cranberries, plus essential DHA to support your kitty's growth. Contains zero grains, corn, soy, or wheat so it’s great for kittens with sensitivities or food allergies. 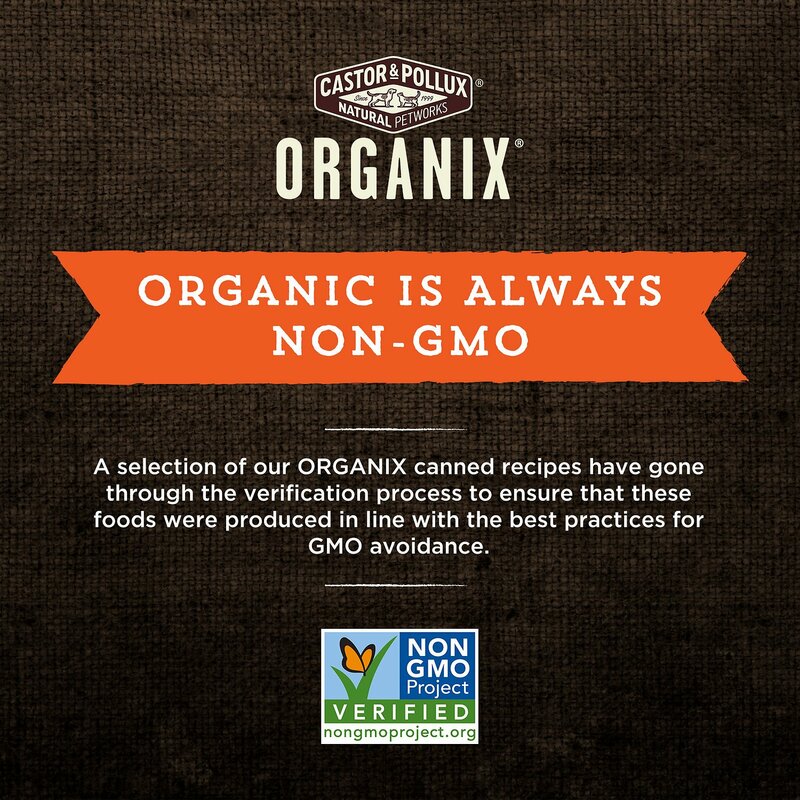 Certified organic food is always free of GMOs. Organic Chicken, Organic Chicken Meal, Organic Pea Protein, Organic Sweet Potato, Organic Peas, Organic Chickpeas, Organic Tapioca, Organic Sunflower Seed Meal, Organic Coconut Oil, Organic Chicken Fat (Preserved With Mixed Tocopherols), Natural Flavor, Organic Flaxseed, Organic Chicken Liver, Organic Dried Alfalfa Meal, Salt, Salmon Oil, Choline Chloride, Minerals (Zinc Amino Acid Complex, Iron Amino Acid Complex, Potassium Chloride, Copper Amino Acid Complex, Manganese Amino Acid Complex, Sodium Selenite, Calcium Iodate), Vitamins (Vitamin E Supplement, Niacin Supplement, Thiamine Mononitrate, D-Calcium Pantothenate, Vitamin A Supplement, Pyridoxine Hydrochloride, Riboflavin Supplement, Vitamin D3 Supplement, Biotin, Vitamin B12 Supplement, Folic Acid), Taurine, Organic Cranberries, Dried Bacillus Coagulans Fermentation Product. 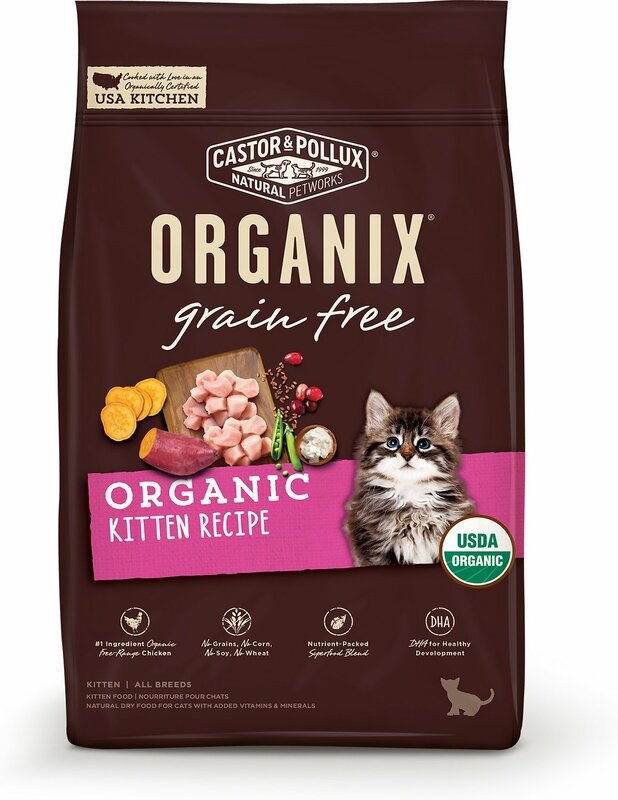 Castor & Pollux Organix Grain-Free Organic Healthy Kitten Recipe Dry Cat Food provides 100% complete and balanced nutrition for kittens. 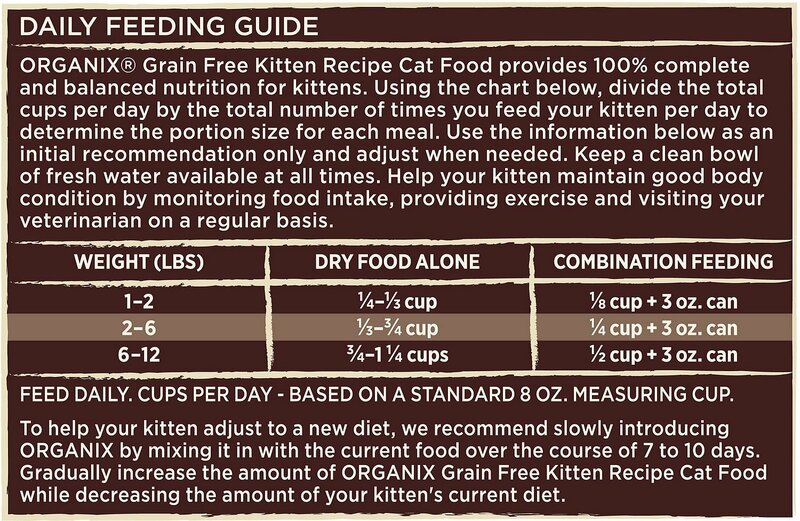 Using the chart below, divide the total cups per day by the total number of times you feed your kitten per day to determine the portion size for each meal. Use the information below as an initial recommendation only and adjust when needed. Keep a clean bowl of fresh water available at all times. Help your kitten maintain good body condition by monitoring food intake, providing exercise and visiting your veterinarian on a regular basis. To help your kitten adjust to a new diet, we recommend slowly introducing Organix by mixing it in with the current food over the course of 7 to 10 days. Gradually increase the amount of Organix while decreasing the amount of your kitten's current diet. My kitties love these crunchies! So excited to have finally found a dry cat food that really is all organic (though I know organic vitamins and minerals may not always be available). The small bites kibble pieces are easy for them to chew up and have a fresh flavorful smell. The Castor and Pollux company was recently bought by Merrick and they have moved forward boldly with an all-organic line of pet food that is sorely needed. Kudos and thank you!